Yes, it is possible to Change Font Style in AMP. 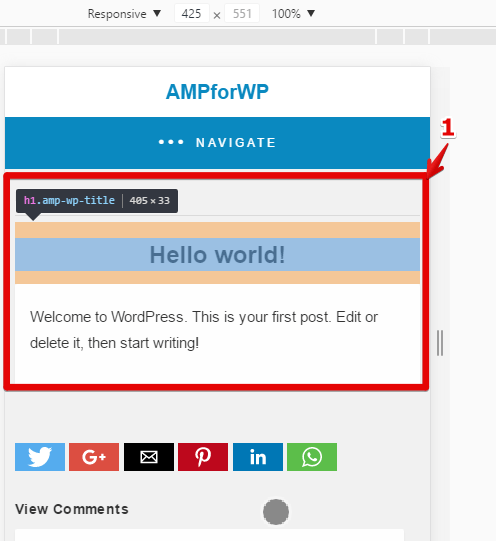 You can change the font style in AMP with the help of Custom CSS. 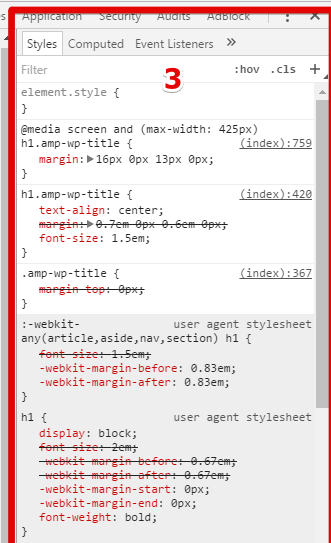 Go to AMP settings > Design Section > Custom CSS option. First of all, inspect Element where you want to change the Font style. here you can see the Class name of Hello World. With the help of class you can start styling. You can change font style, you can change font color etc. There are plenty of other CSS properties you can use according to your requirement. 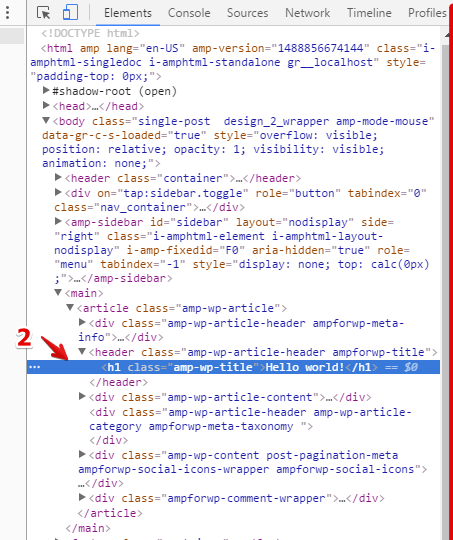 When you are ready with the code, simply paste that code in Custom CSS Editor which can be found under the Design Section in AMP settings.